The Barker ASSMASTER is proudly hand built in-house in Portland, Oregon using the highest quality components! It was also hand-named by the same people who make them. 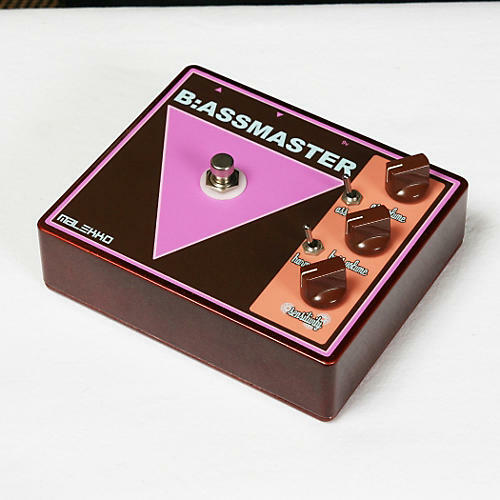 The Malekko Barker ASSMASTER is inspired by the original Maestro Bass Brassmaster octave fuzz pedal. Hand-built by us, this modern version delivers the same octave overdrive/harmonic generation effect in a quiet, fully controllable pedal. The 5 controls provide complete control over the tone, overtones, harmonics and mix of the dry and wet signal. True bypass. Drop a bomb. Order today.